It’s always a wonderful feeling when you meet someone who loves words as much as you do. I had that experience about a week or so ago when I came across a post by Mark Schultz, Word Refiner. Don’t you just love his title? I know I do. Mark’s article works perfectly with the type of posts I publish for The Weight of Words. When I first read it, I sensed a kindred spirit, and, dare I say it, a fellow member of the Grammar Police. According to Mark’s bio on the Word Refiner webpage, he has been “purifying documents of all kinds for over 40 years.” What’s not to love with such an impressive resume? 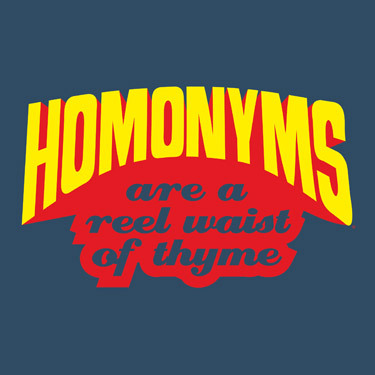 So, without further ado, I give you Homonyms Hurt Your Writing. Enjoy! Thank you for the kind words! I am truly humbled by your accolades. I do not feel qualified for the Grammar Police, but will happily serve on the Spelling Patrol. Purity of Words is my passion. Thanks again for the link. Thank you so much for the post. I have linked to it on my FB pages and tweeted it.